So this months theme is about keeping all the balls in the air or for me I had that serious image of holding the reigns of 6 horses as I stand and drive a Roman chariot. Well this week I think my lesson has to be that I still have to take care of myself. I’ve been so focused on the horses and pushing and driving forward that I have completely run my own self ragged. Last night at yoga the class was focused on thinking of your back body instead of always being aware simply of the front of our bodies, as we propel ourselves forward. As I slipped backwards and released muscles I hadn’t let go of for awhile I started to regain my serenity and also my perspective on whats going on with work. I’m now going away for the weekend, leaving my computer and retreating a bit. I will be more effective and brighter and out of my manic sink or swim stage by next week but first I need to replenish. Huge lesson in going forward and then sinking backwards. Holding on and then letting go. I really can struggle with the letting go bit as I am compelled to keep going and pushing things. But really I now realize that at best thats ineffective and at worst damaging to my own health. 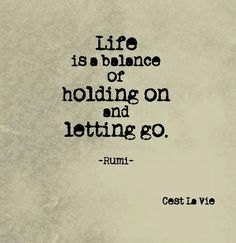 At the end of the day it comes back to balance which is such a simple word but when life puts one to the test it can be the first thing that topples. No point the horses all galloping off if the driver has fallen right off the chariot.